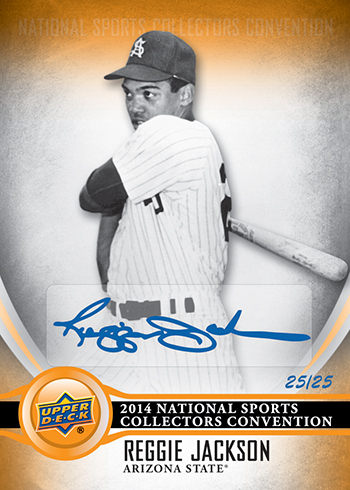 Fans taking part in Upper Deck’s popular wrapper redemption program at the 2014 National Sports Collectors Convention are in store for a special surprise! To help celebrate Upper Deck’s 25th Anniversary and Amazon.com’s increased support of the sports collectibles category with their specialty online store, the two companies are partnering for a special promotion. 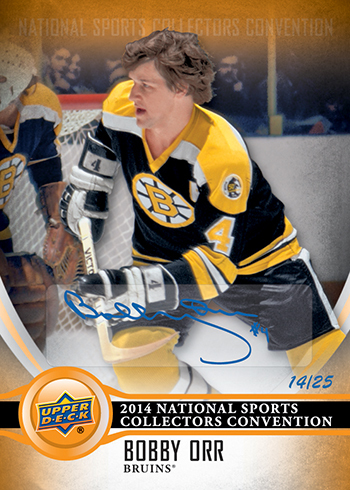 Randomly inserted into Upper Deck’s wrapper redemption packs are four Amazon.com exclusive autographs limited to 25 copies from four of the best players in each of the four core sports. 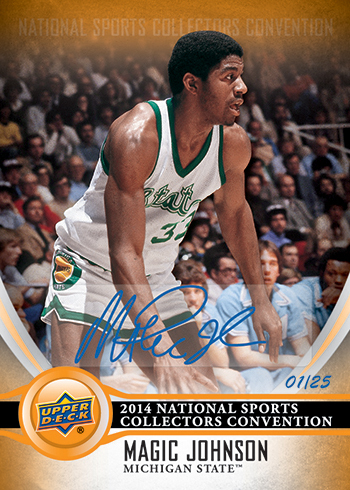 We hope fans enjoy and appreciate the additional autograph content that will be available in Upper Deck’s wrapper redemption packs and we are appreciative for Amazon.com’s support to bring these cards to life! I would love that Peyton Manning auto 25/25.